As a busy, work from home, Mom I have gotten into a horrid habit of not getting dressed unless I need to go somewhere. I always have an excuse that I am cleaning or cooking and don’t want to mess up my good clothes. Well, I told my husband over the weekend, that I am tired of looking like a hot mess. I am tired of being majorly overweight. I am tired of not putting forth an effort to look nice for my husband. So, I ordered my very first (aff link) Stitch Fix and now need to upgrade my aprons. 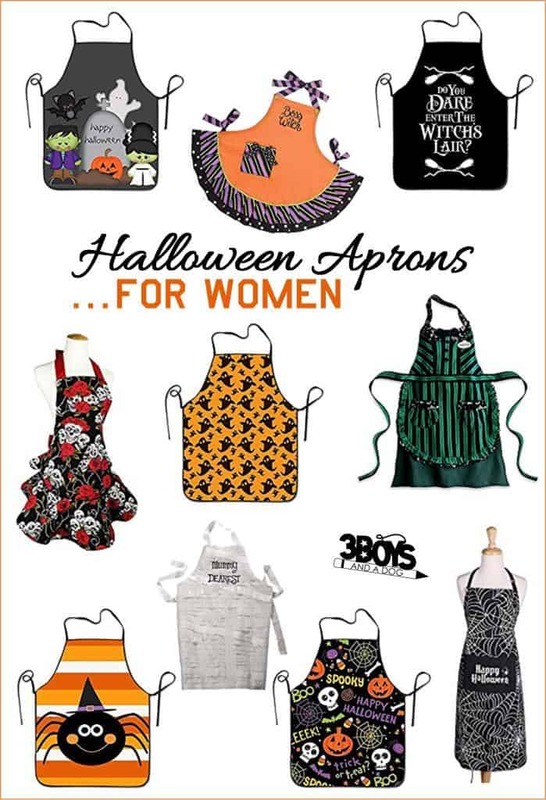 With these Super Cute Halloween Aprons, I am set for the next 2 months! I will have new, nice, fitting clothes and an adorable apron or two to put on over my new clothes. Score! I am sure these super cute Halloween aprons for Mom will get you in the spooky spirit and they are functional, too!